Dr. Timothy E West, MD is an early pioneer in the field of Infectious Disease here in Charleston, SC. 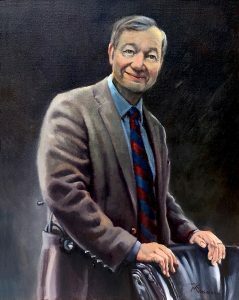 His portrait will hang at Roper Hospital and was presented to him on May 5, 2018 as a surprise by his wife and Lowcountry Infectious Disease, his practice over many years, for his dedication and service to his community. It is always such an honor to bring a portrait into being because it celebrates the entire life of achievements and the relationships of the individual.